SEO stands for Search Engine Optimization, this is really a big thing for bloggers because SEO helps you to rank better on search engines like Google, Yahoo, Bing, Ask and better rank means better traffic to blog. Many bloggers those are newbie or those are not familiar with SEO, probably they think that SEO helps to get 1st rank on search engines, this is really not SEO, SEO just help search engines(crawler or spider) to read your blog, that’s why search engines show results, as per the searcher requirements. In this article, I will share with you basics to little bit advance tips, that’s why you can optimize your blog or website for search engine. Whenever you go for writing an article, you first write title of your blog post, right? Then let me tell you dear to get good rank on search engines title play almost quarter role. Now the question is that, how to write better title, that’s why you will get traffic, see people search on engines right, then if you will give title name of your blog post exactly, what people are searching on search engines? 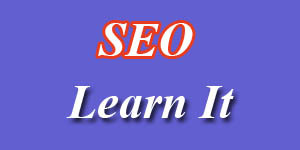 Then definitely you will get good rank on Search engines, then what will happen, you will get traffic. Oh it’s again typical thing, how can you think like this? Don’t worry dear, I know how you can get that title automatically for free. a)-Know What People are Searching on Search Engines? b)-What is Long Tail SEO, Why is it Important? See after title, you are using keywords in the blog post are also important. Now, how would you use keywords in your blog post? which will help search engines to read your blog post quiet easily and show result on the top of your blog post, here I am going to tell you, how to use keywords, it’s just simple use words in your blog post, those words you have used in your title. The most common questions, generally newbie or many professional bloggers even think, how much length your article should be that’s why search engines will not hurt your ranking, it’s about 400 words, but remember your blog post should satisfy your blog readers this should be your main target. This is for your all blog posts, meta descriptions is the "descriptions" of your blog, that’s why search engines crawler will come to know your blog category, which is also important, actually I have already written an article on this topic. Read the article to Know how to do it for your blog. Meta keywords also play important role, but here we use keywords to let know search engine crawler about your blog keywords, I have already written an article on this topic, but let me tell you more about this keywords, actually we provide keywords of our blog, like my blog keywords are ”SEO | Advertising Networks | Affiliate Programs | Make Money Online”. Probably you are reading “Do Follow” first time, this is most important in blogging, because, if you will provide DO follow links to other blogs or websites, it will pass your page rank , means reputation of your blog, so don’t provide Do follow links to any blog, but of course provide Do follow links to your internal blog post, like I have added in between my blog post. May be you are just thinking that, if you will not provide Do follow links to other blogs then what type of link would you provide to other blogs, this is the answer “no follow” links and also use open in new window script. Anchor text means text content links, which link will lead to another webpage, this will help you to get good rank on search engine again for that particular blog post, for which blog post your are using anchor text, here one another thing for you, don’t use similar anchor text every time, use anchor text with little variation of keyword. Let’s take an example suppose I have written a blog post on blogging platforms, then if I am providing anchor text for it now "BloggingPlatforms for Creating Blogs", then next time I will provide anchor text "Blogging Platforms for Bloggers", hopefully you got the concept. This is little bit related to meta keywords, here is the difference between meta keywords and meta tags, meta keywords we used one time in the xml version on blogger templates, but in the case of meta tags, which we called labels in blogger platforms, we used this for every time for new post. Now the thing is that, how would you write your labels for your blog post? Here is the answer for you, do write labels two to three, not more than five and not less than one, let’s take an example I am writing this blog post, I will write labels for this blog post, those are SEO and SEO for Bloggers. Probably you have not notice this, that people also search images on search engines, then if you are not providing images in your blog post, you are missing those visitors to your blog, right? So, go for it, create great image, which is related to your blog post, again another good thing for you, provide name of your image as your blog post, this will help to get better rank of your blog images on search engines(image search). This is one of the best way to increase reputation of your blog, but remember every time, everything having some advantages as well as some disadvantages too, but we will take advantage of this, now how would you get advantages from this, I will share with you those things in this section of this blog post. Now let’s enter to this topic, there are two types of link building tactics, one of them, I have already share with you. That is anchor text of your own blog post link in your blog post, technically this is called "On Page Link Building", this is also important to get more page views of your blog and also it will improve reputation of your blog. Because users will stay more time on your blog. Now let’s know the another one, that is "Off Page Link Building", means get link from other blogs or websites(like social networks, social medias), now I am going to share with you the free and best method to build off page link of your blog, comment on other blog, this is it, this is free and also practically possible. URL Structure of your blog post also help to get good rank for queries on search engines, because search engine also read URL structure while showing results for query. After almost four years of blogging, I have learn lot about blogging, but right now I am going to share with you my real experience about SEO and traffic to blog. See, now a days it is really become difficult for new blog to get high rank in search engines after even writing high quality article for few weeks. But, later you are going to get help from search engines, but till that time you need to be calm stay away from quick link building method as well. Use one social media in which media you believe lot of potential, I will suggest you to use Facebook and of course you need to share your blog post on your wall to get lot of traffic to your blog as well as you will get lot of likes. That's not all, you can tag people those are important for you and see which of friend having maximum Facebook friends don't forget to tag him or her. Let me know, if you will success from this process, I will post here your success story from this process. See search engine optimization is only help search engines(crawler) to read your blog, that’s it. Don’t miss use it, because it may happen search engine will banned your blog permanently. Don’t use black hat method. Create a great blog post with proper information and use these tips, enough to get good rank on search engines. Hopefully this blog post will help you lot, to get good rank of your blog post on search engines, that’ why you will derive more traffic to your blog. Do you have any other tips on SEO? 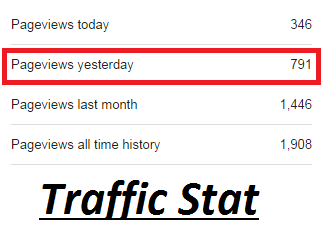 Glad your blog traffic increase by 20% within this short period of time. Wonderful Guide blog for New SEO's.I appreciate your article. how add site on google search. my site dosent show in google search.